To see "Jakob The Liar" in its entirety is to endure "Life Is Beautiful" with ice dripping down our necks. Sometimes there are subjects in movies that do not require second interpretations, especially if they have nothing new to add to the touchy subject. What we deal with here is a second round of the holocaust, but one that is so overly dramatized by its writers and characters that one is left feeling cold and detached. No one needs a second movie in two years involving this subject to start with; when it begins playing with our minds, attempting to pass off as deeply poignant drama, then the matter gets worse. The ironic thing behind "Jakob The Liar" is that the film is so appropriately titled; its plot is a charade of tearjerker situations, sentiment, and the thickest of melodrama. Robin Williams even seems to be uncomfortable with the material (which may be surprising, since he has been in sappy junk like "Patch Adams" and "Dead Poets Society" throughout his career). He stares at the characters around him and shouts out dialogue without much grace or style; perhaps he is simply struggling to remember the exact words. Either way, he and the audience are trapped in one of the biggest farces of the past year--a movie so self-centered and unbelievably obvious that it actually thinks there is something left to be said about the holocaust. Never mind that Roberto Benigni’s "Life Is Beautiful," a brilliant achievement, has covered all the necessary ground (despite the fact that it was shot after "Jakob The Liar" was nearing completion). 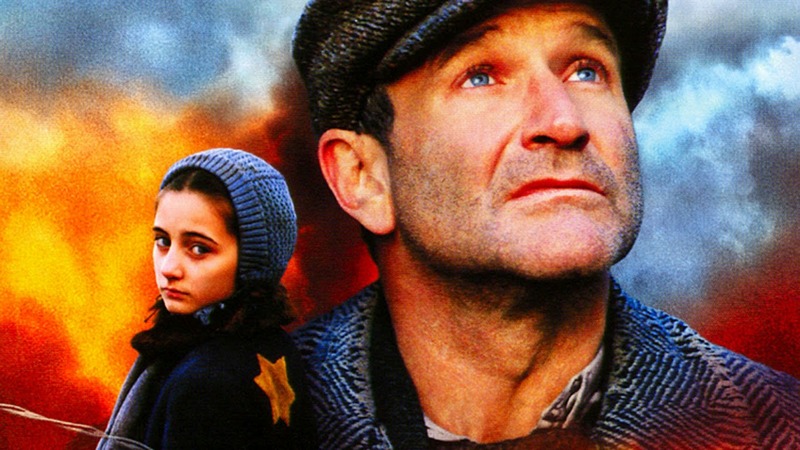 This film's story takes place in Poland during the outbreak of World War II. Jakob Heym is a Jewish cafe owner who, while in Nazi headquarters for staying out past ghetto curfew, overhears on a radio that Russian soldiers are moving in, and Germany's power in the war is fading fast. He shares this news with his close friend, who spreads the word faster than anyone could imagine. Soon everyone in the ghetto assumes that Jakob has his own radio, and can listen in on the late-breaking reports that are sent through the radio waves. Since he's already done the damage and built up their hope, though, he plays along with their little assumption; throughout the movie we see him contriving all sorts of faux information regarding the war, just to sustain their dreams. But what would have happened her if the Germans beat out the Russians and regained their power? What if his entire ghetto was put to death? Heym would have lied for nothing. "Jakob The Liar" is a droll, endless exercise in the manipulation of emotion, and because it draws inspiration from actual events, we have all the more reason to dislike it. One of the positive qualities of "Life Is Beautiful" was its ability to give characters a ray of hope even when situations were harsh. This movie has no compassion--the material is incredibly fake, lacking heart, spirit, and a general reward. All 120 minutes are told without a heartfelt desire; Jakob continues to build hope for his ghetto, even though his lies could prove deadly and the Germans regain their power in the war. He and the director are taking too many risks here. The only difference? Jakob gets away with them.